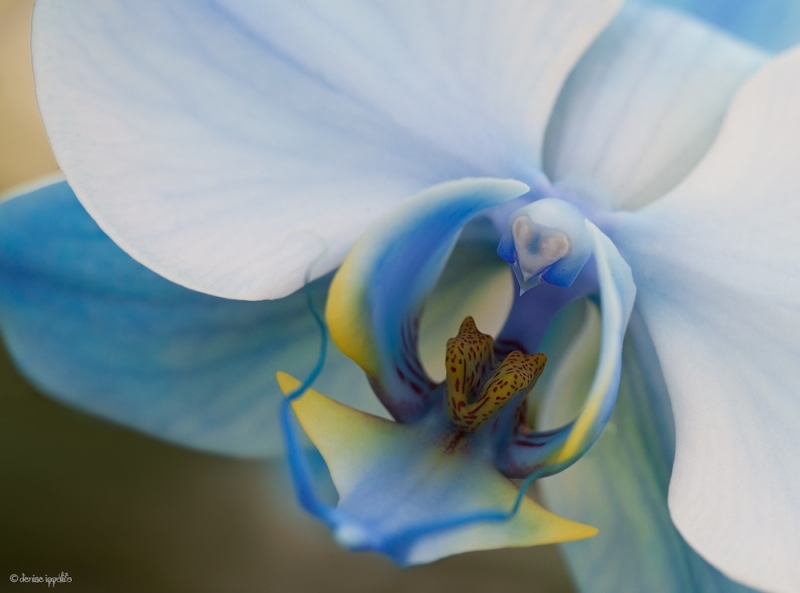 This image, “Seductive blue diamond orchid,” was created by Denise Ippolito with the Canon 100mm macro lens and the EOS-5D. ISO 400. Evaluative metering +2/3 stop: 1/200 sec. at f/4.5 Click on the image to enjoy a larger version. WIW stands for Walk-Ins Welcome. Walk-ins are indeed welcome at the NYC Seminar. You can bring a check, cash, or a credit card with your driver’s licence. When? This coming weekend at the Hilton Garden Inn on Staten Island. Alternatively, you can call Jim today before 5pm or Friday before noon and register by phone. Click here for more info, for the complete schedule, and to learn about the valuable registration incentives that include a free copy of Digital Basics. On Saturday we will teach you how to capture great images in the field and on Sunday how to evaluate and process (optimize) those images. Throughout the weekend we will be working hard to help you become more creative both in the field and at the computer. This image was created with the tripod-mounted Canon EF 800mm f/5.6L IS USM Autofocus lens and the Canon EOS-1D X digital SLR . ISO 400. Evaluative metering +1 1/3 stops off the sky above the mountains in very early morning light: 1/60 sec. at f/6.3 in Manual mode. Central sensor/AI Servo Surround/Rear Focus AF active at the moment of exposure. Click here if you missed the Rear Focus Tutorial. Click on the image to see a larger version. 11 comments to What Does WIW Mean? Your pet peeve reminds me of a story from the Haines American Bald Eagle Festival. There was an eagle enthusiast who came regularly. One year he arrived with a new Canon 1200 mm lens (at the time about $75,000; a while back B&H had a used one for about $100k). The main reason he went for the 1200 over the 600 was that the 1200 had a 5 year warranty. When I asked how his images were the person telling the story just shook his head, sadly. If you can’t see the image in your mind before you look in the viewfinder, you won’t find it in the viewfinder either. In 1967 a team from Eastman Kodak gave a presentation to a graduate class in Instructional Communications I took at Syracuse U. After they showed about 50 incredible slides the first question asked was, “What kind of camera did you use?” The stunning answer was, “A Brownie.” (For those not familiar with the Brownie, it was little more than a fancy box camera). The camera takes the images, the photographer makes them. I notice that you are using the 800mm rather than the 600mm. In an article a while back, you seemed to indicate you would make a shift to the 600mm when it became available. Have you changed your mind?? Also you seem to be using the 1x and no longer using the IV. Comments?? Denise, the orchid is amazing! Absolutely love it! Thanks for sharing. Sorry got my typing fingers crossed. Stay tuned for a spectacular announcement in about a month…. One in Tampa in February and amazing news coming in about a month. 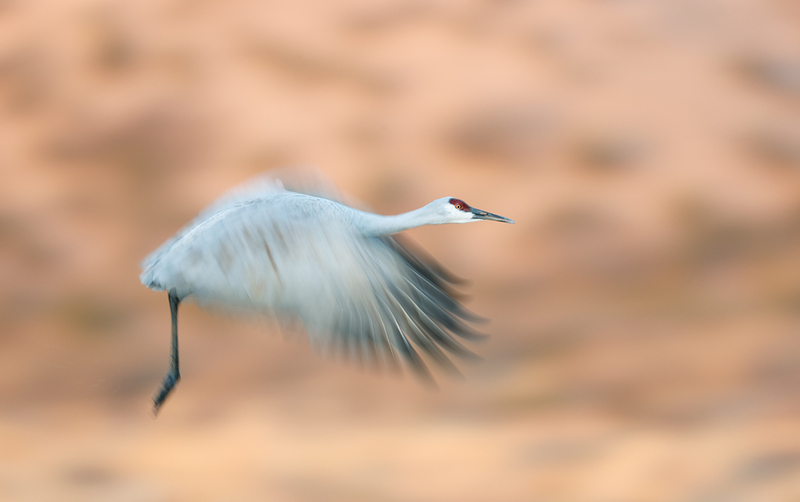 LOVE the sandhill image. Just killer!